On a night where Romelu Lukaku was absent, Marcus Rashford and Anthony Martial were chosen to lead the United attack against Brighton. But guess what, the two couldn't live up to expectation. Manchester United lost by 1-0 and Jose Mourinho was very sad at Rashford who wasted a lot of chances during the game. Romelu Lukaku has always been leading the lines for United this season and after the game on friday Jose Mourinho tells reporters why he always play Lukaku instead of Martial or Rashford. 'I wouldn't say disappointed, because I know them. I thought for some the possibility to start a game, to give reason to the ones who criticise my choices,' Mourinho told Sky Sports. 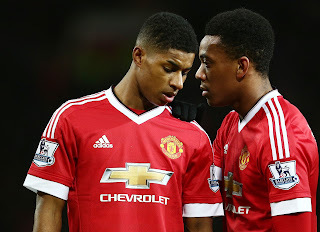 What is your take on both Martial and Rashford performance against Brighton yesterday?